Fill out the form below by Tuesday, April 23rd at 3:00pm! 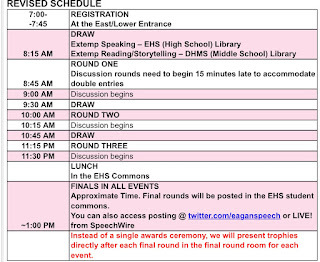 Eagan tomorrow is still happening! Eagan is still on for tomorrow! The tournament will get everyone out of the building by 3:00pm! Make sure you’re there by 7:15am! 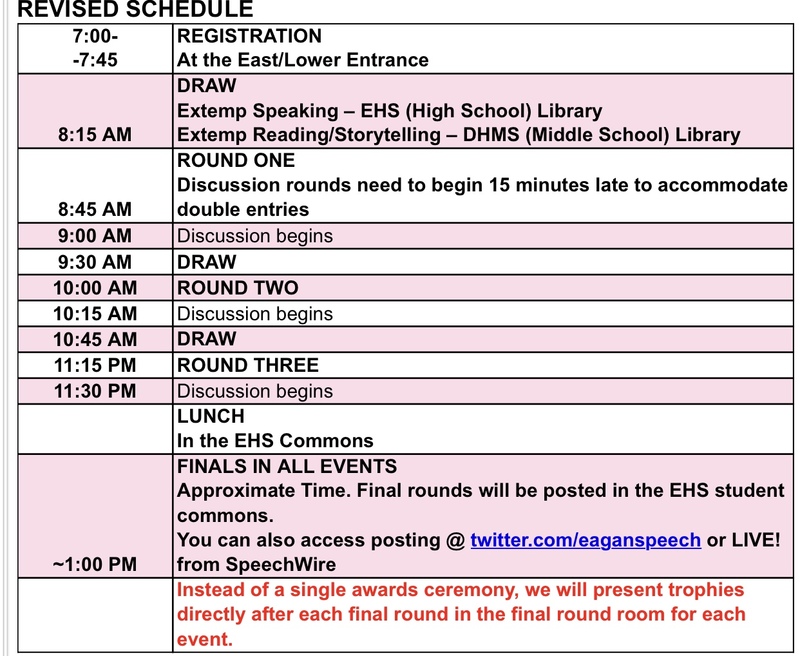 See the revised schedule below! Go to password protected page!